We're custom product packaging consultants who consider it our job and responsibility to take care of details where needed. 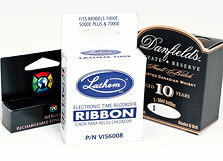 PrintPac partners with local and national suppliers for packaging and printing needs. We specifically take your packaging requirements to the best suited manufacturer. We source for the best value for your money, which generates exceptional cost savings and increases profits. Do You Have Budget Concerns About Product Packaging? Of course you do! At PrintPac, we do the number crunching and look at all options to determine the best custom product packaging for your needs. We're pros when it comes to tapping into our huge network of vendors for just the right packaging and budget fit.